This summer, consumers are more likely to take a long weekend trip, perhaps a sign of growing consumer confidence and an improving economy. A survey by travel publisher Travelzoo shows nearly three quarters of consumers are planning an extended getaway -- longer than a two-day weekend but shorter than a vacation. Many of those said plans are likely to be made, and a destination chosen, at the last minute. About half the consumers in the survey said they were likely to make more long weekend "mini vacations" than they did last year. And while a trip to the beach is one of the most popular long weekend destinations there's increased interest in a long weekend to Europe. 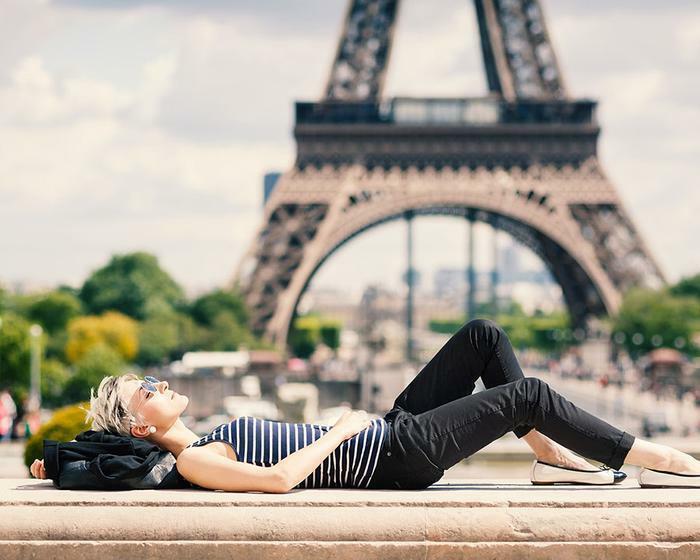 Only 9% are planning a vacation to Europe this summer but half the consumers in the survey said they are considering taking advantage of low air fares for a long weekend getaway to someplace like Paris. The threshold appears to be around $500. Consumers say if they get get round trip airfare under that amount, their bags would be packed. WOW Air and Norwegian Air have low cost flights well within that ball park. As we reported back in February, Norwegian Air plans to start service this summer between the East Coast and Ireland and Scotland for $65 one-way. "Long weekend trips are in, and the good news is that there are more options now with lower fares to Europe and the increasing availability of last-minute deals," said Mike Stitt, Travelzoo's president of North America. "Even with the ongoing headlines about safety and security, Americans are still eager to get out of town this summer." But not everyone is headed for Europe, or someplace exotic. The Travelzoo survey find more than half of consumers surveyed expressed a preference for the beach, preferably one not too far away. Still, a majority said they would be willing to drive three hours. Why more long weekends instead of vacations? The research doesn't answer that question. However, if could be that consumers don't feel they can take the time away from jobs and other responsibilities. Stitt says other research shows Americans increasingly don't use all their vacation time. Research by Alamo Rental Car shows 59% of Millennials felt "shamed" for taking extended vacations from their jobs.